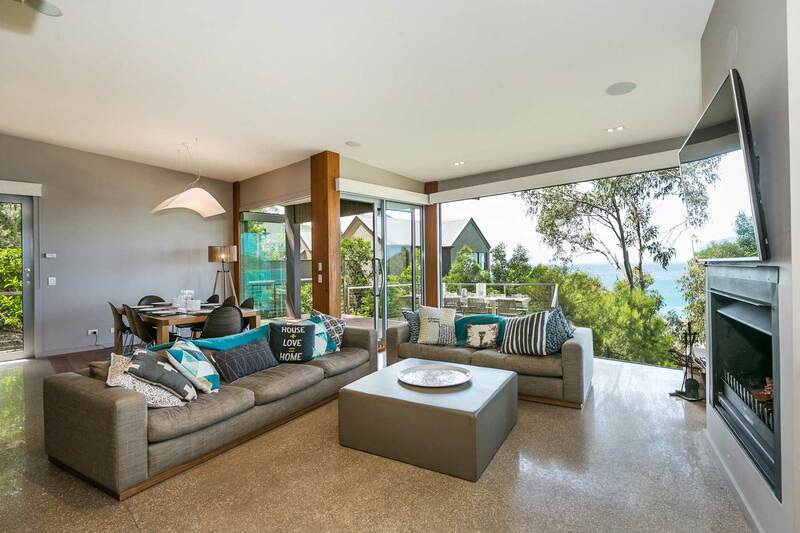 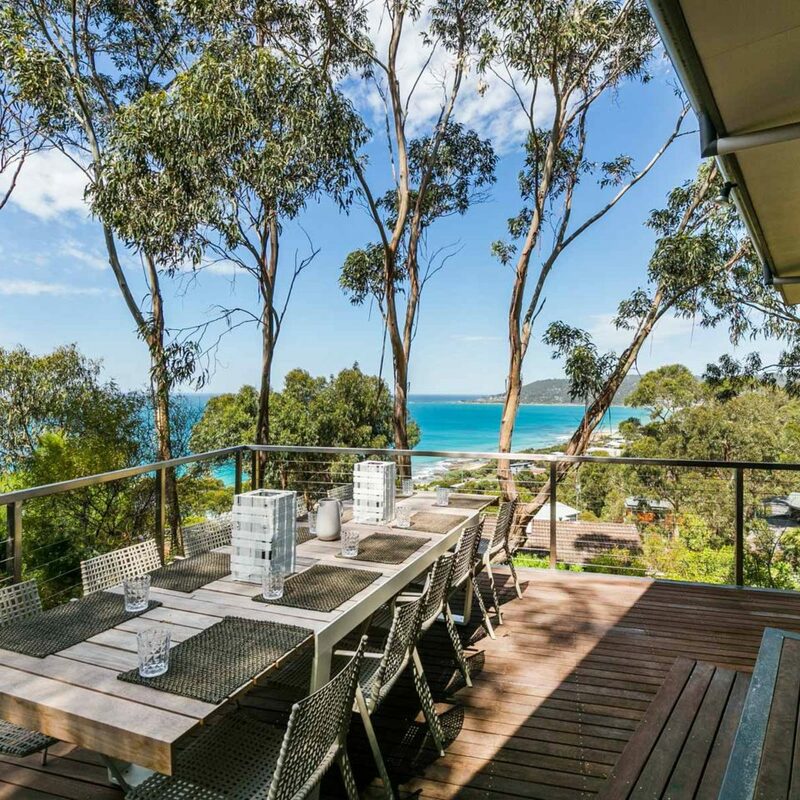 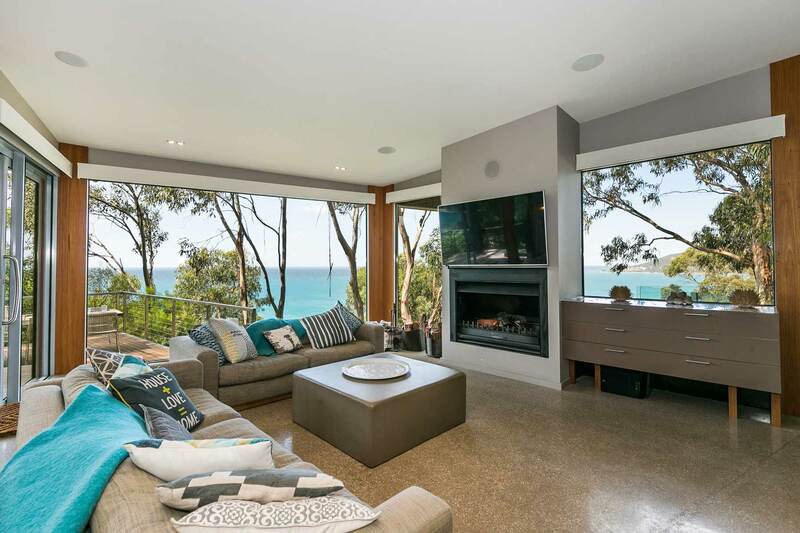 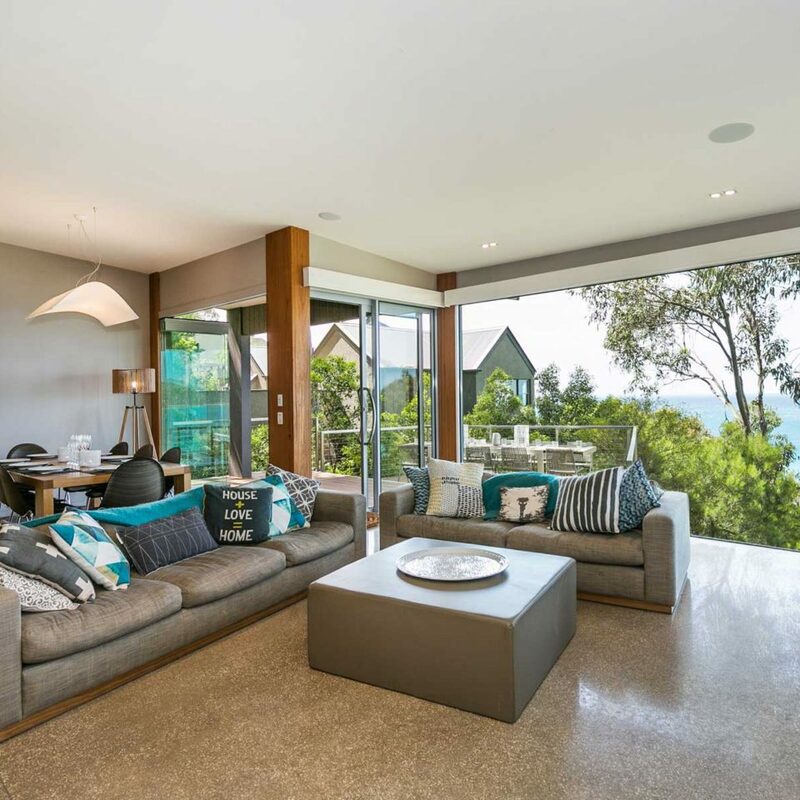 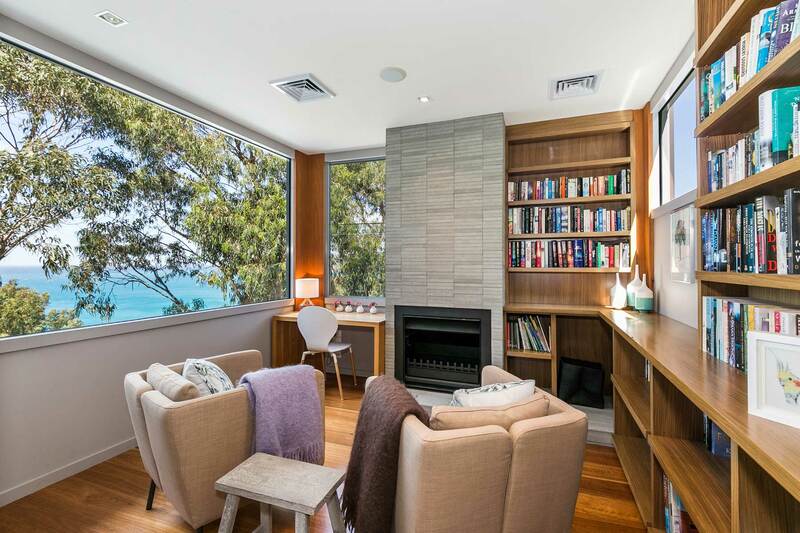 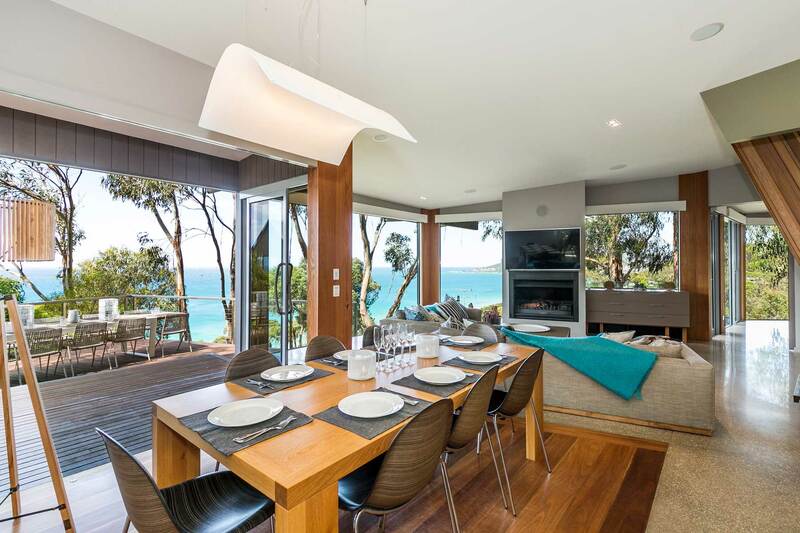 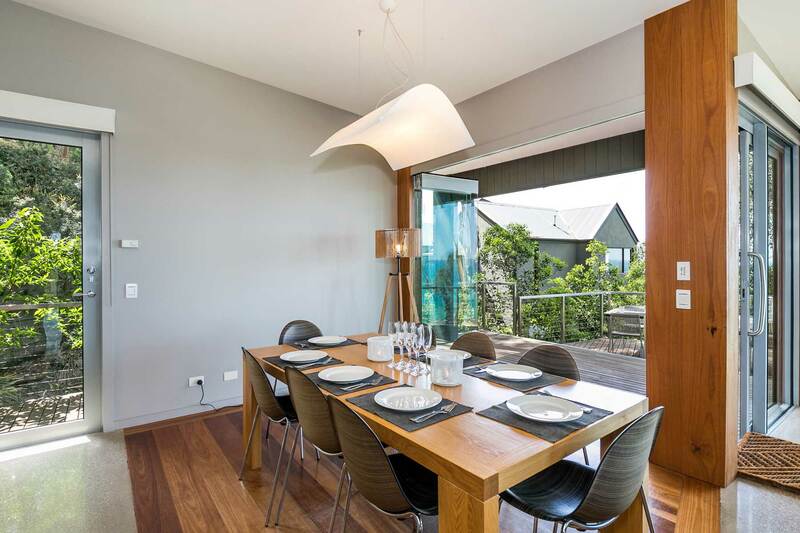 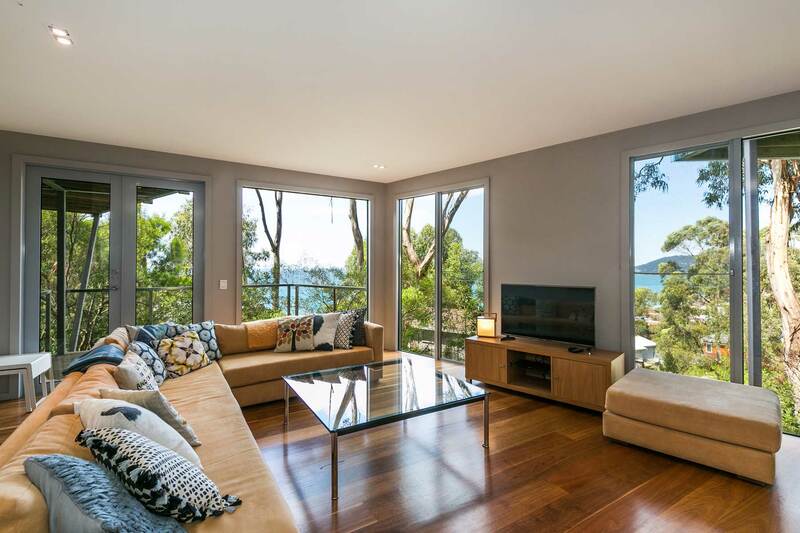 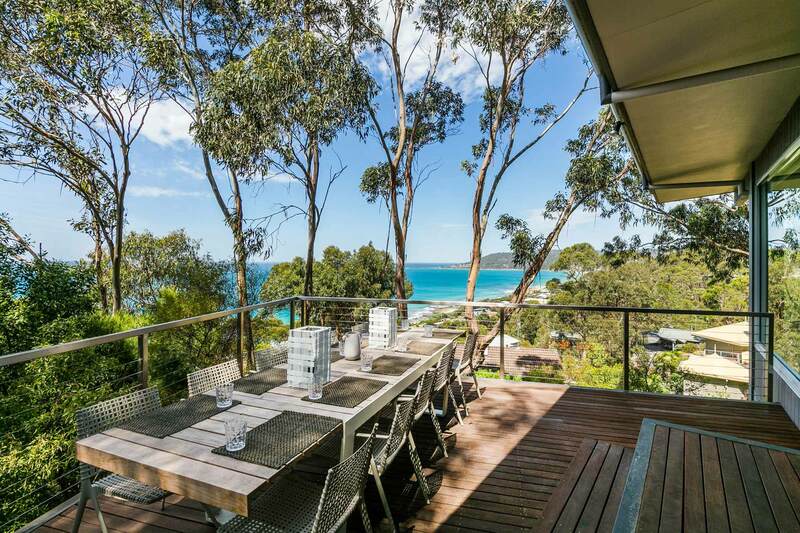 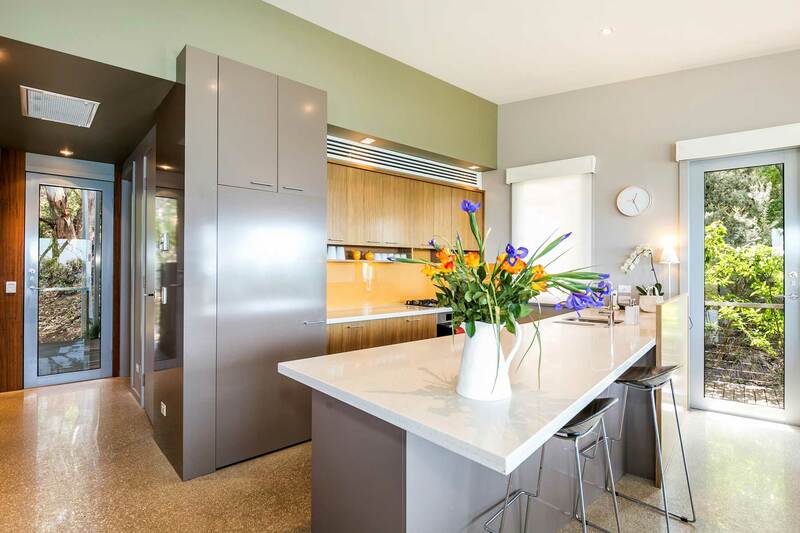 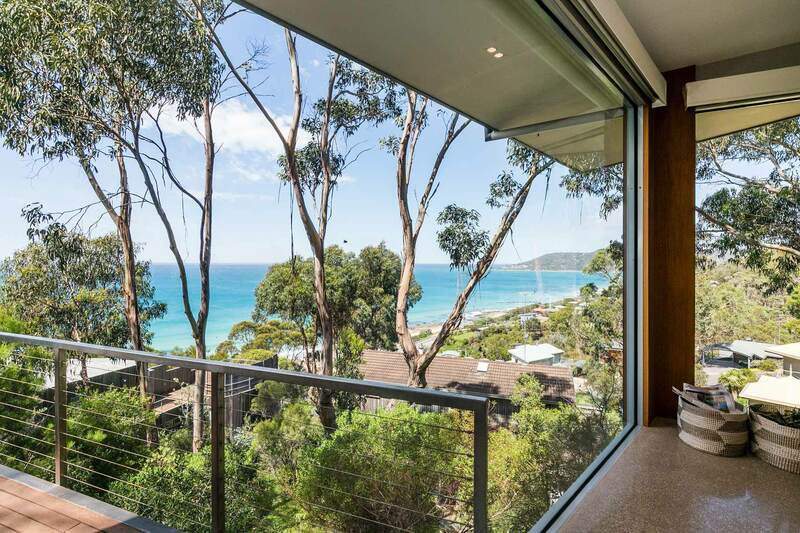 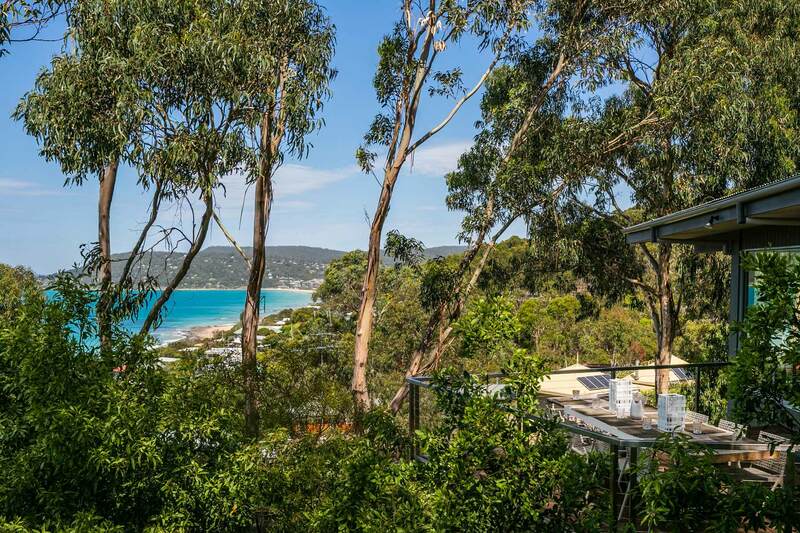 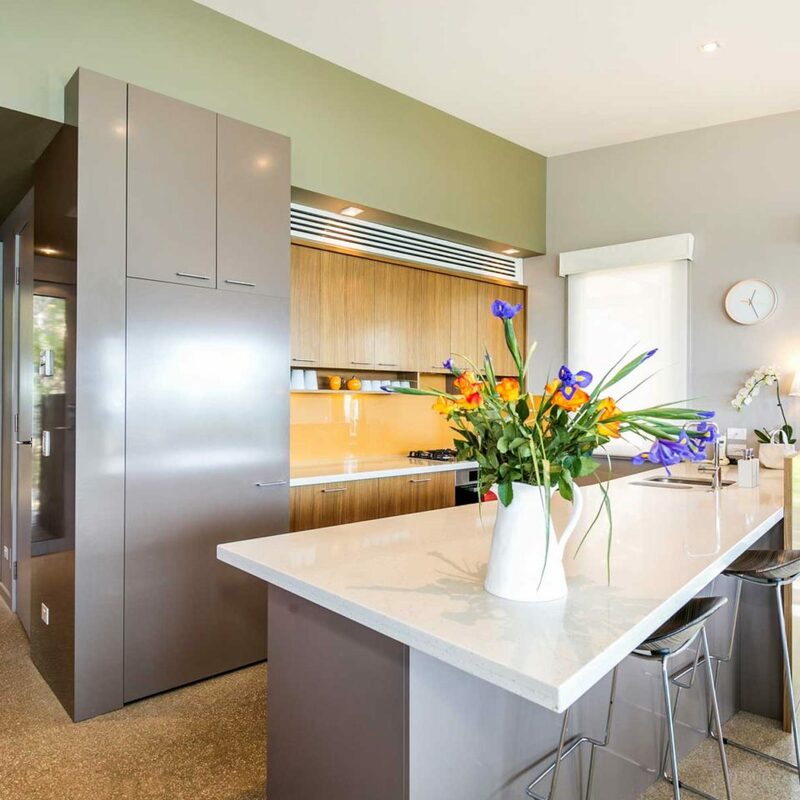 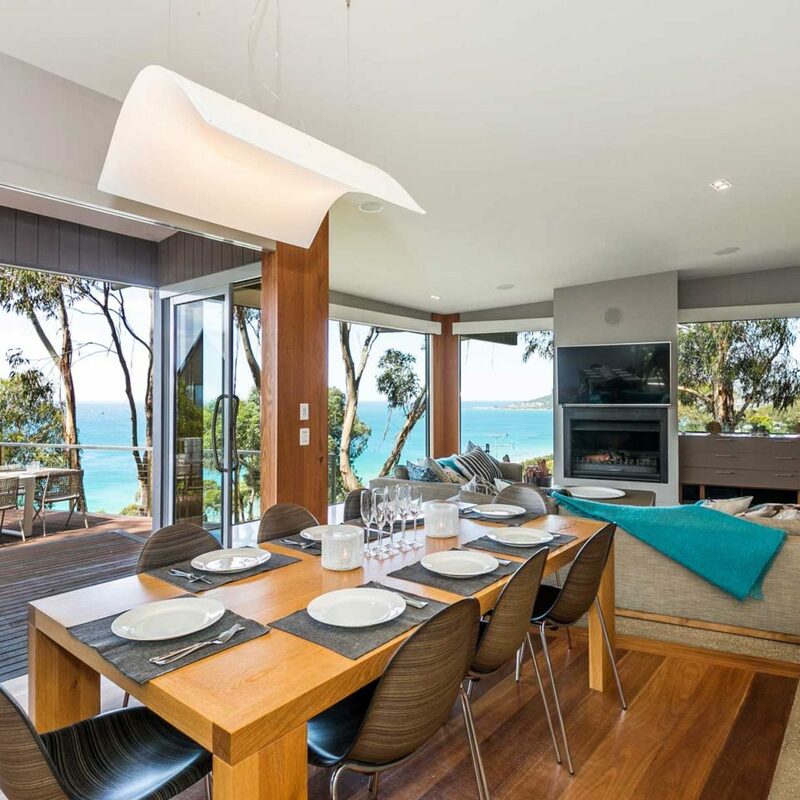 One of the best kept secrets of Lorne is this perfect holiday home. 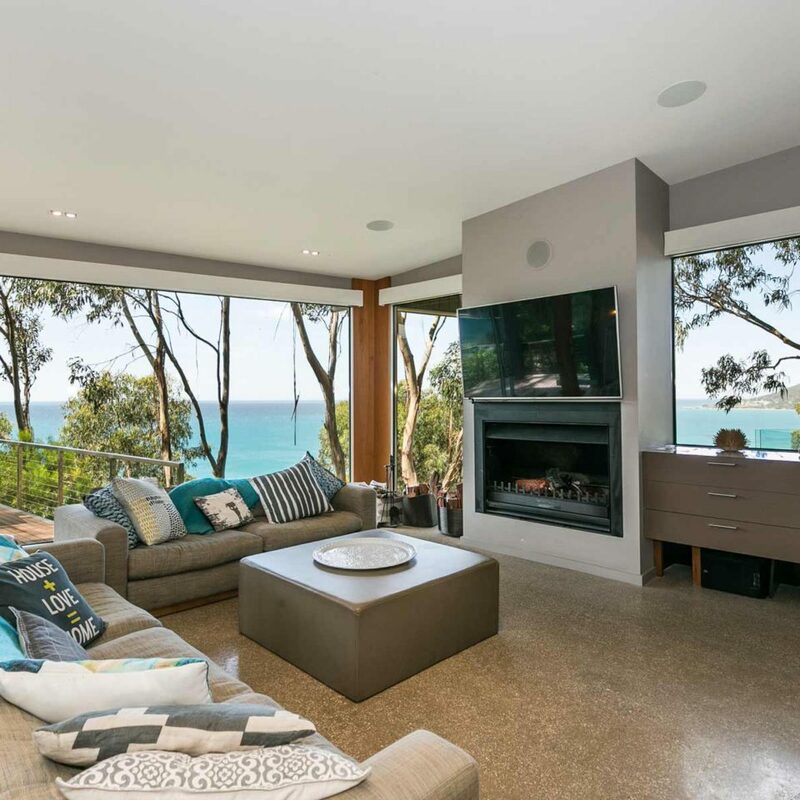 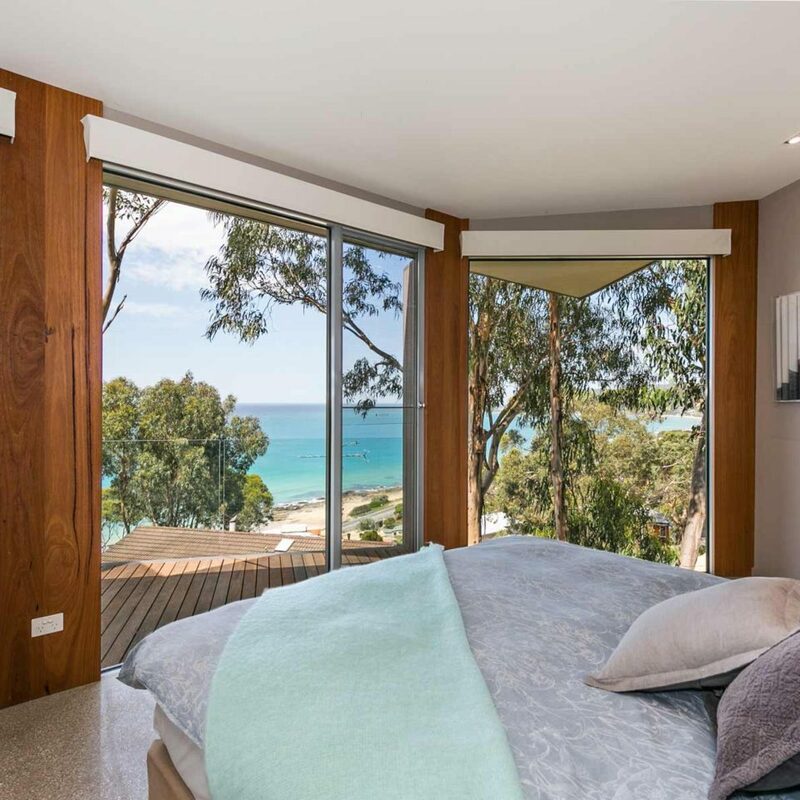 Private, inviting and irregular by design, the brief was to create a luxury beach home in Lorne on The Great Ocean Road that would work for the whole family or just two people. 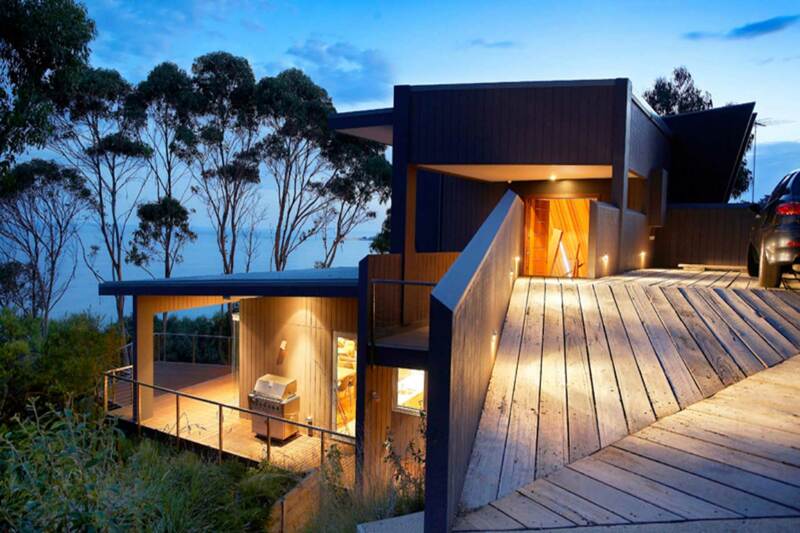 Vantage Point does this in spades. 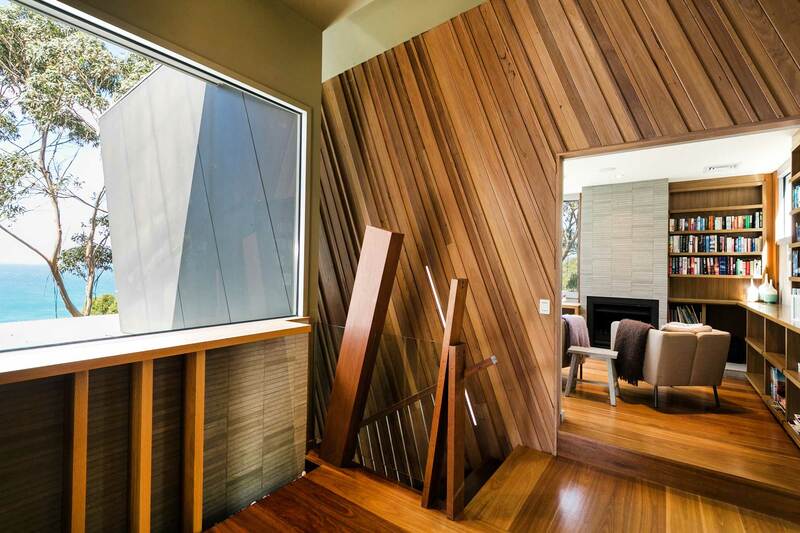 The architectural brilliance of Ken Charles is found at every turn. 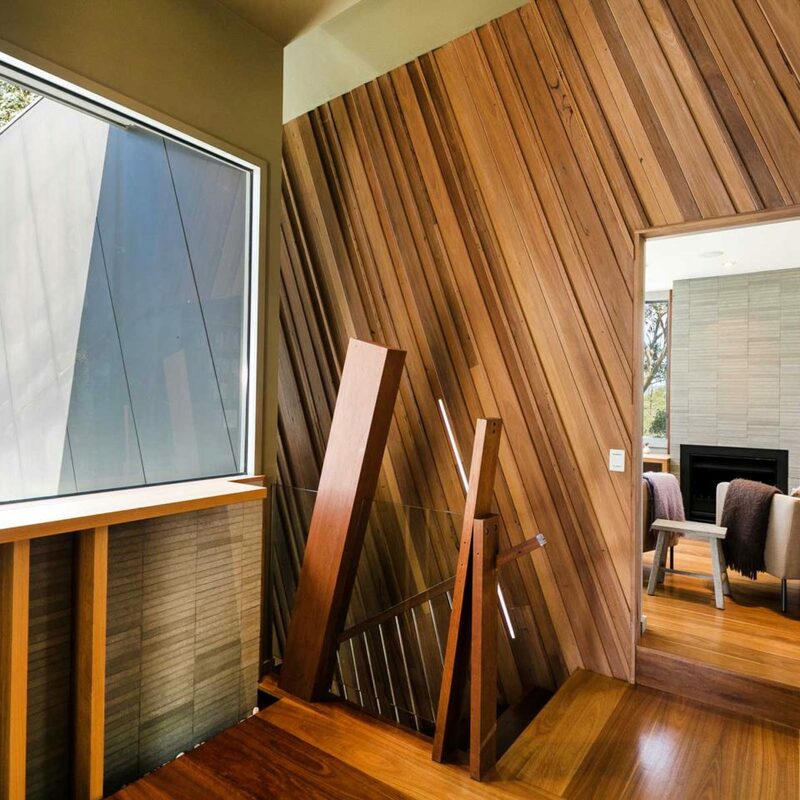 External angles of the home respond to the surrounding branches of the trees. 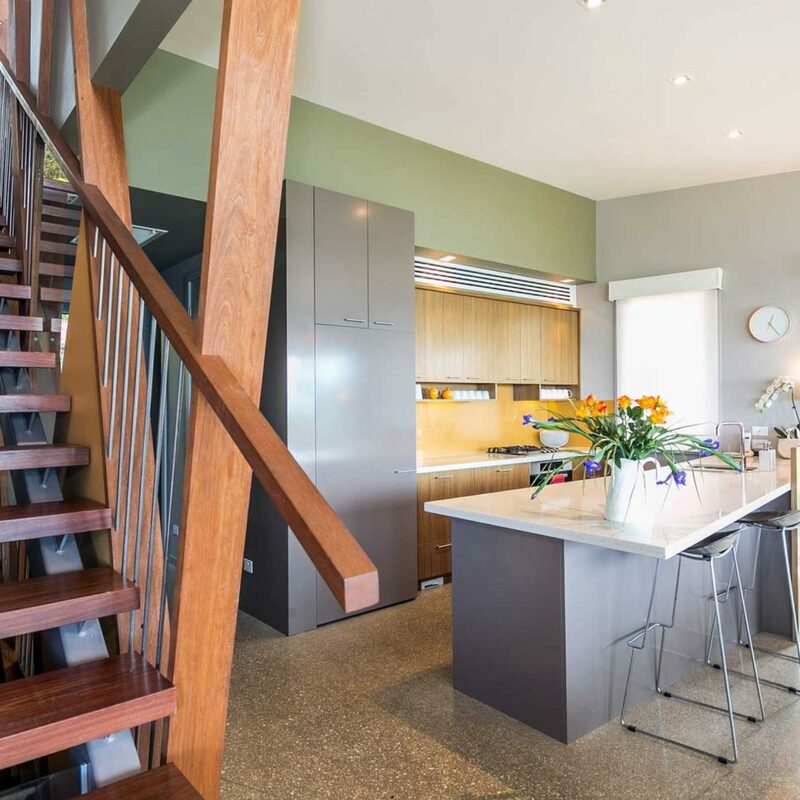 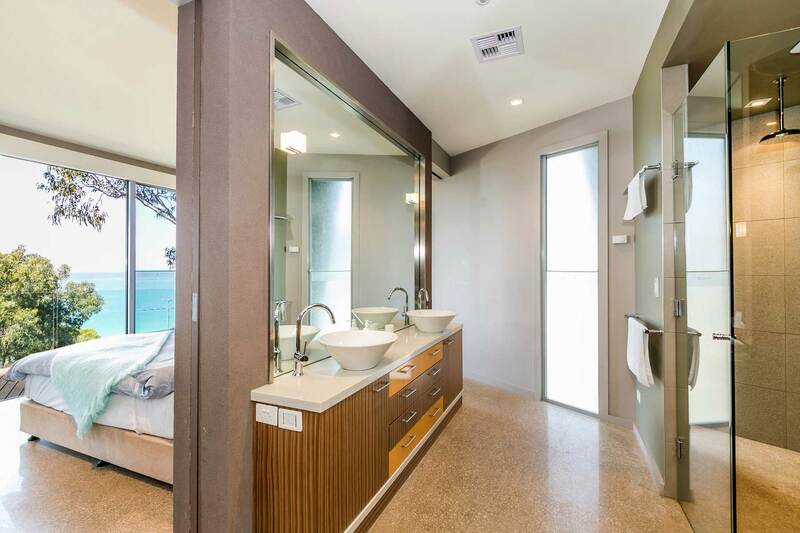 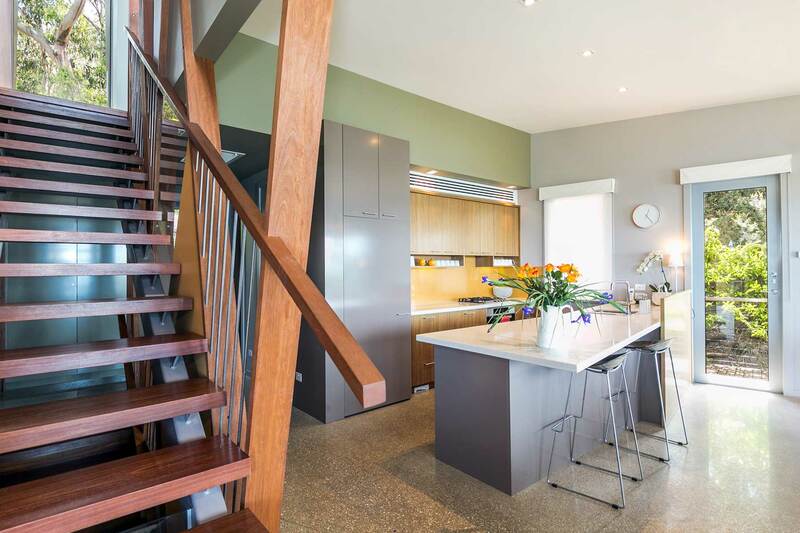 Internally, mosaic timbers and polished concrete create warmth and style. 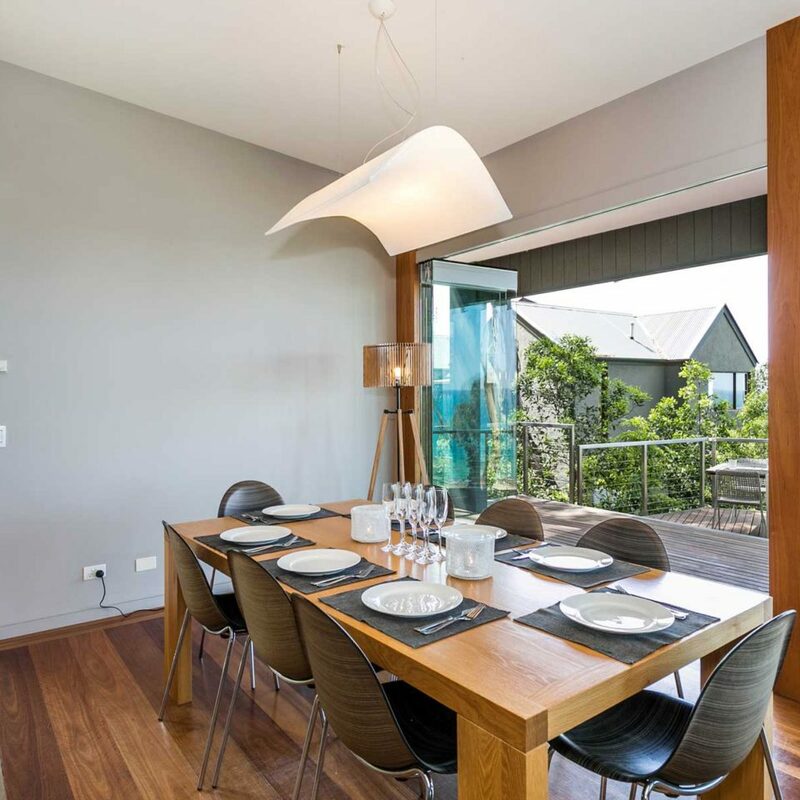 With a natural colour palate, the home is both soothing and dramatic. 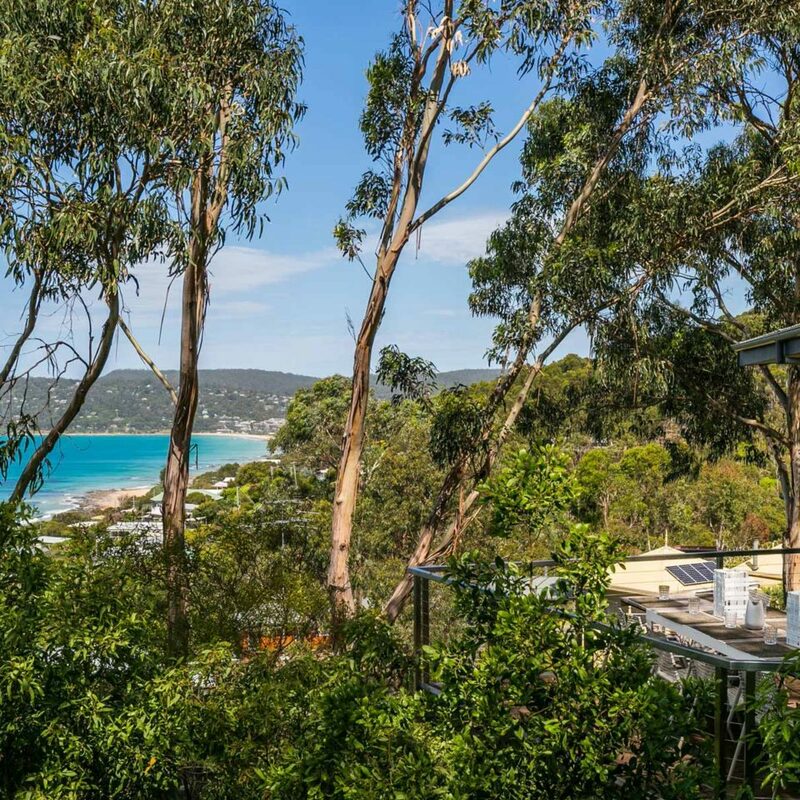 Overlooking Loutitt Bay, Vantage Point is as much about the shoreline as it is the hilly bush setting. 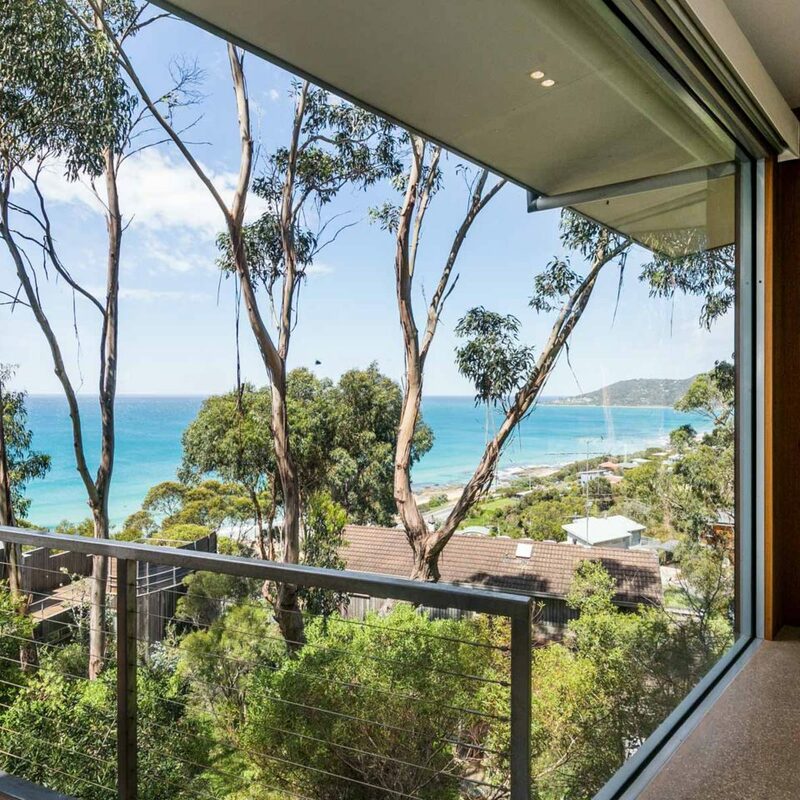 Walking through the wooden, almost enchanted front door and leading to a staircase cascading towards the sea is quiet the opening scene. 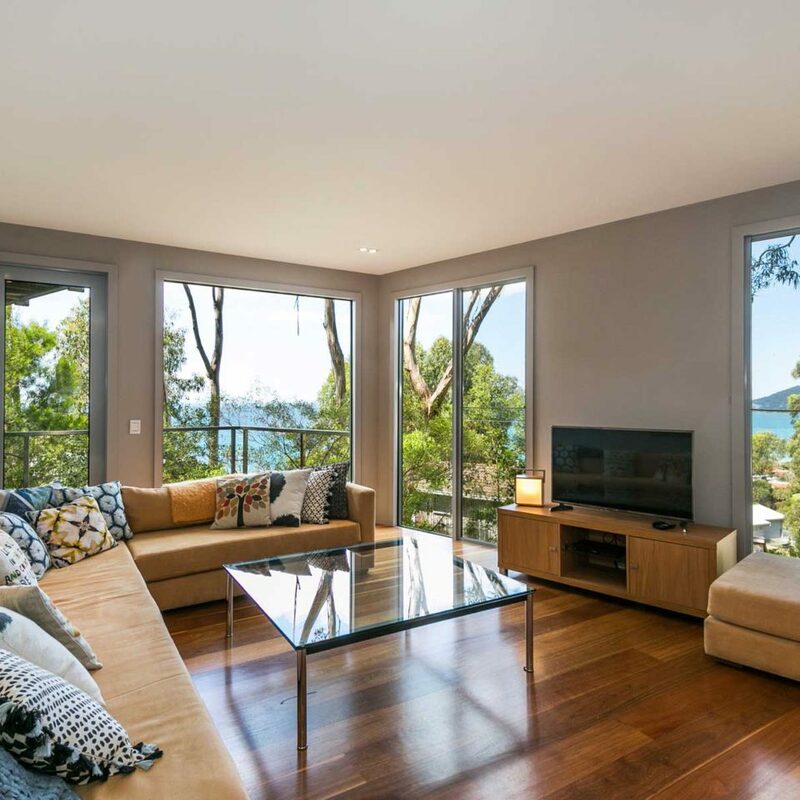 Landing on the central level the open-plan kitchen, living and dining area all benefit from panoramic views of the trees and water. 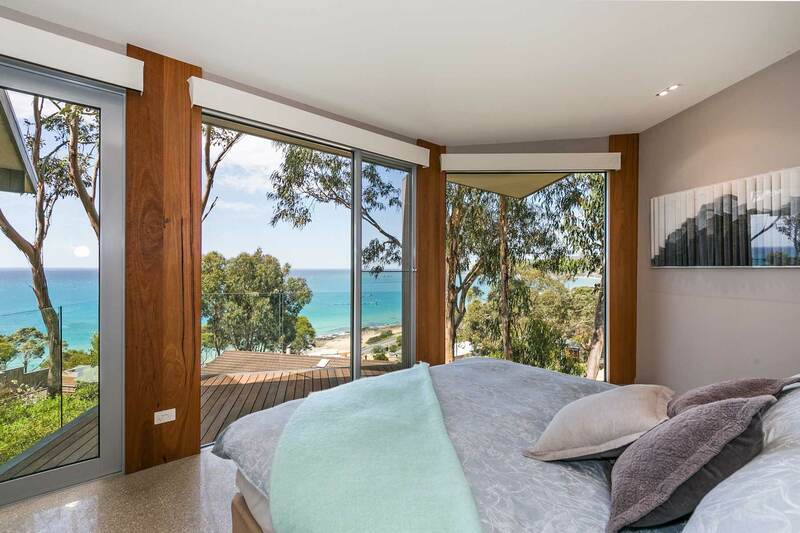 In fact, almost all living spaces and bedrooms host picture windows showing views that inspire. 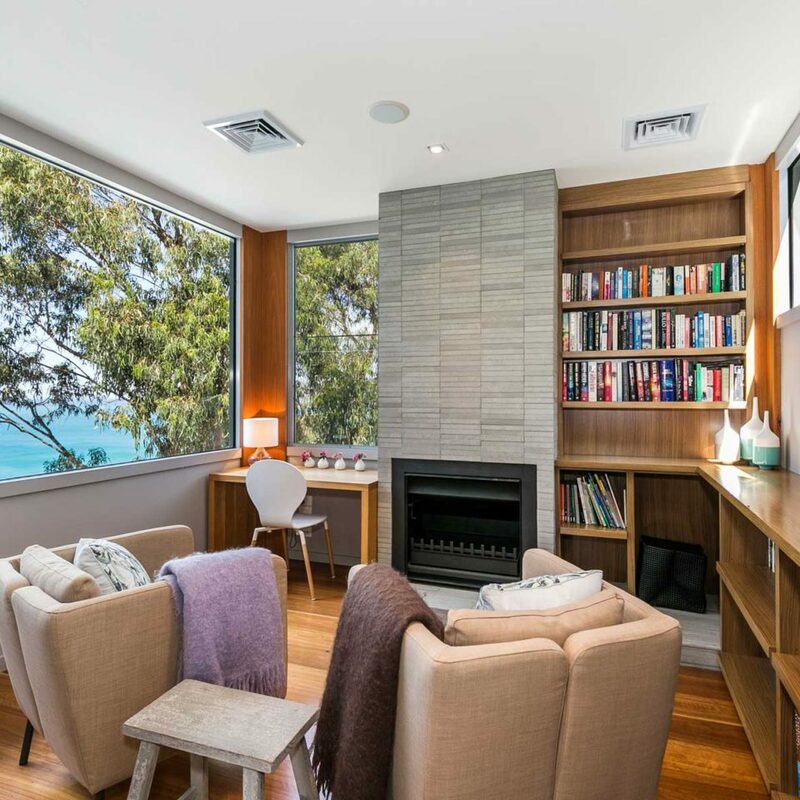 There is an open fire in the main sitting area that lights up a warm romantic atmosphere unique to this deceptively large house. 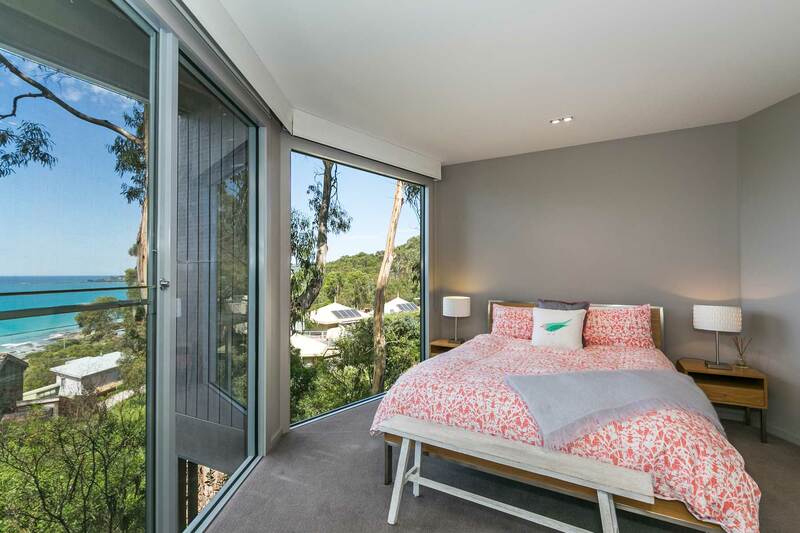 Sleeping areas sneak away from the main staircase and provide hidden quiet spaces where everyone has room to relax. 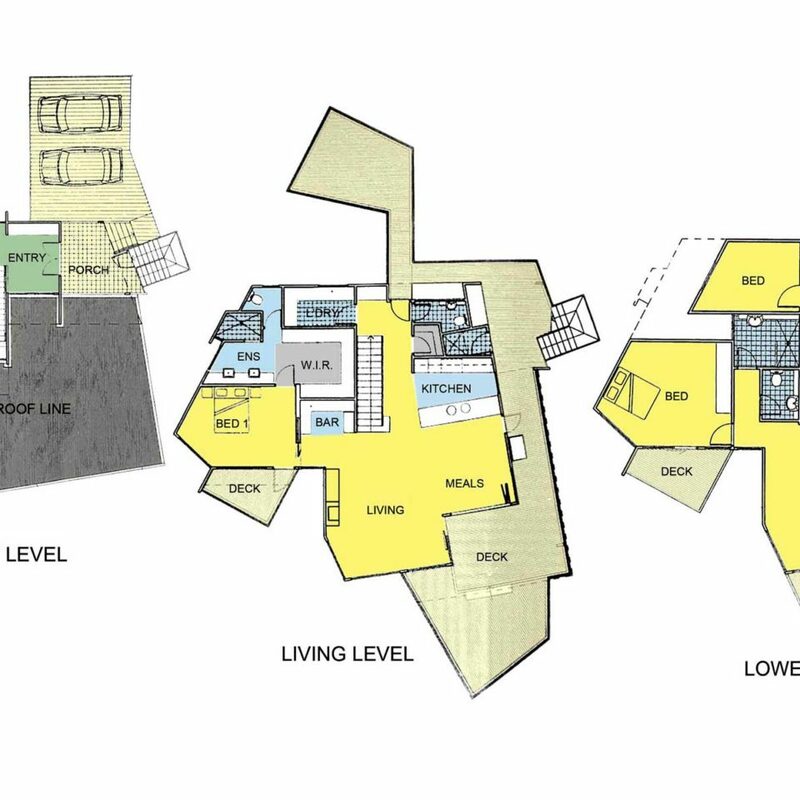 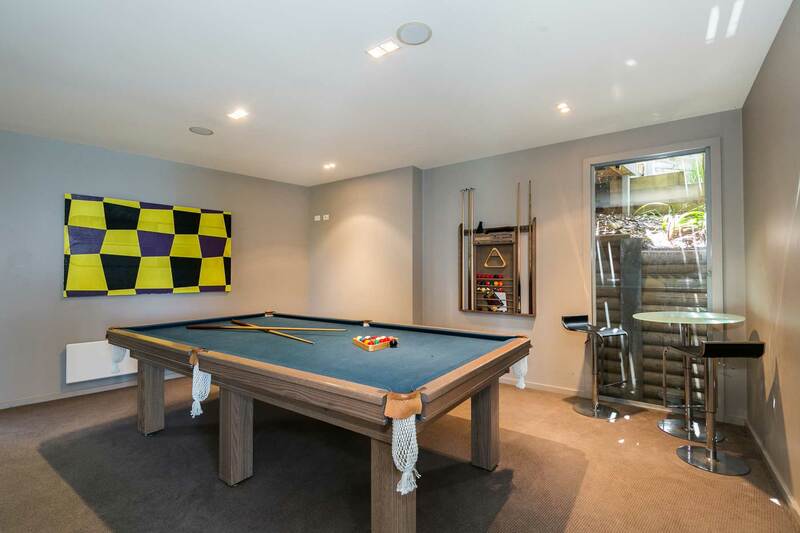 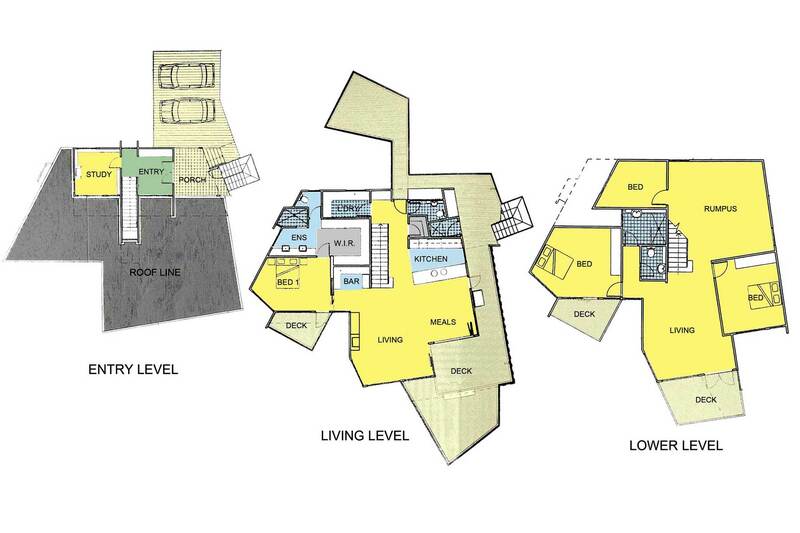 The lowest level hosts a second living room, pool room and bunk room. 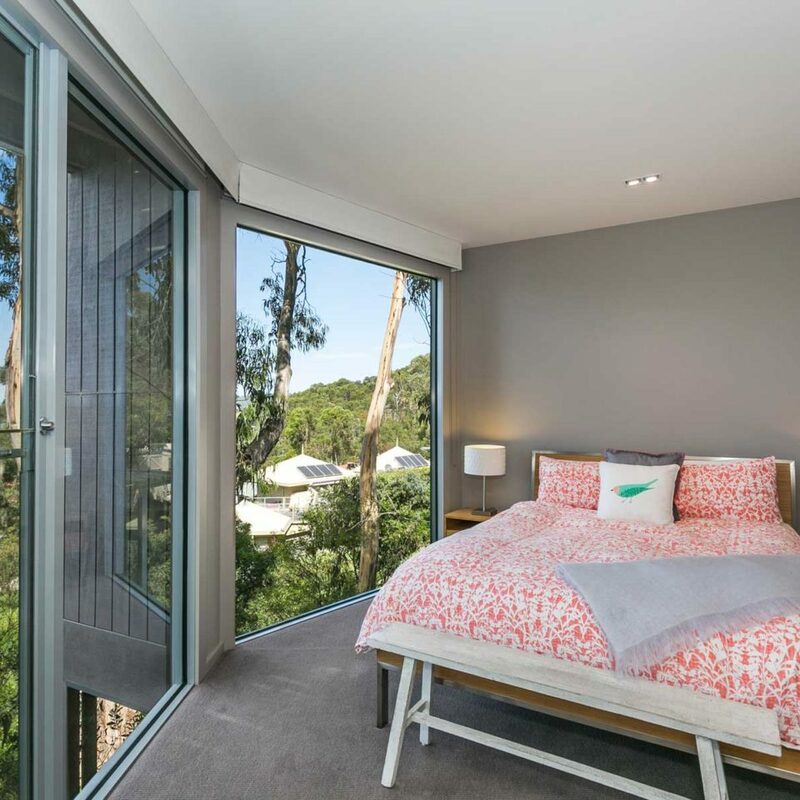 Outdoor living spaces are in the canopy of Eucalyptus trees, filled with birdsong, shade and a place to completely unwind. 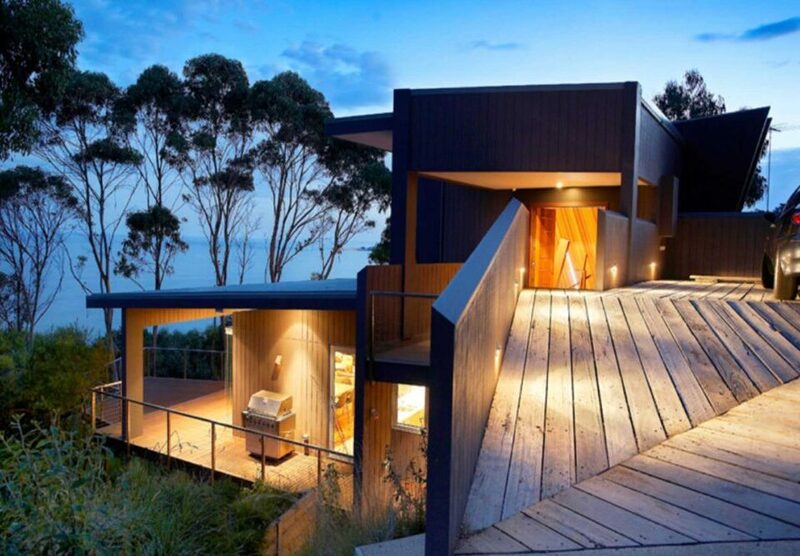 Relaxation is a given here. 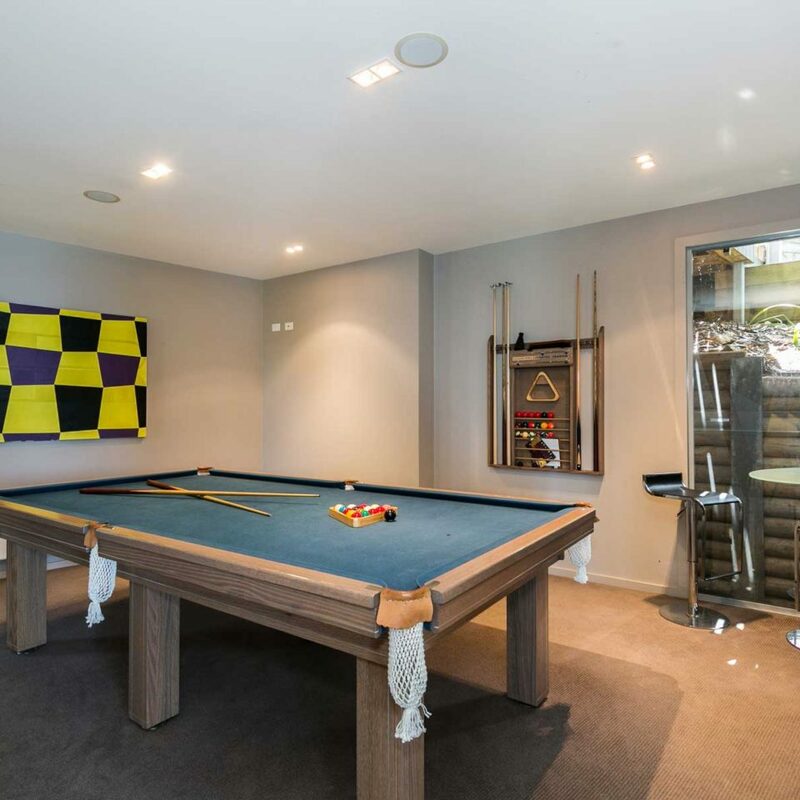 Bring your partner, friends or family. 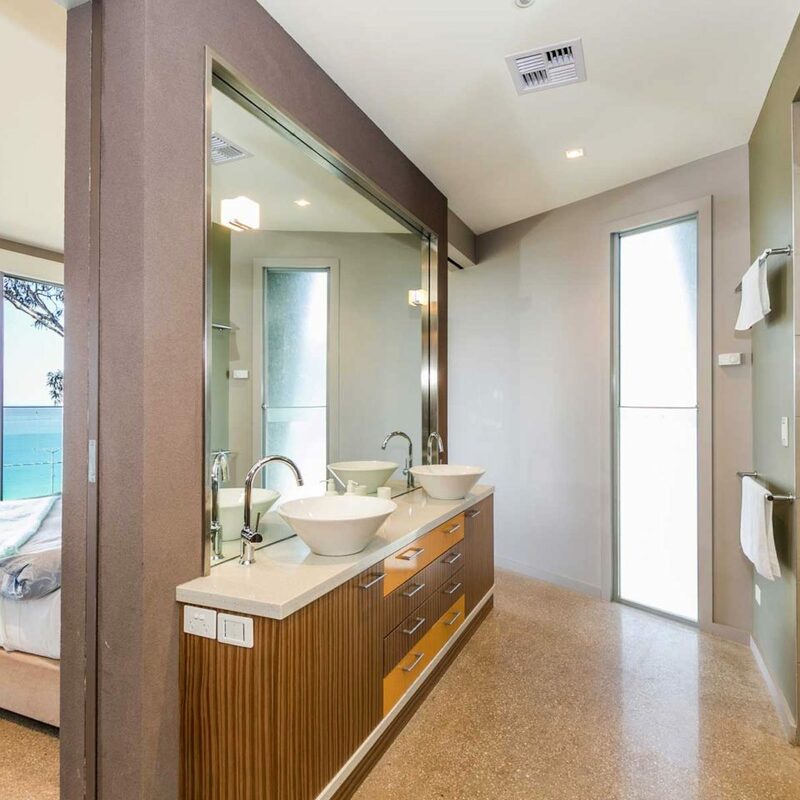 Let Vantage Point provide the rest.